There are calls for Liberal MP Tim Wilson to be sacked following alleged conflicts of interest over an inquiry into a Labor policy. Mr Wilson is leading a taxpayer-funded inquiry into the opposition’s policy to scrap cash rebates for franking credits. Labor wants to end the current cash refunds for excess imputation credits for individuals and superannuation funds. The opposition has pledged to shut down an extension of the dividend imputation scheme created by John Howard and Peter Costello, and restore the system to the original design, implemented by Paul Keating. Mr Shorten says the current arrangements are “unsustainable largesse for high-income earners”, which are on track to cost the budget “$8 billion every single year”. 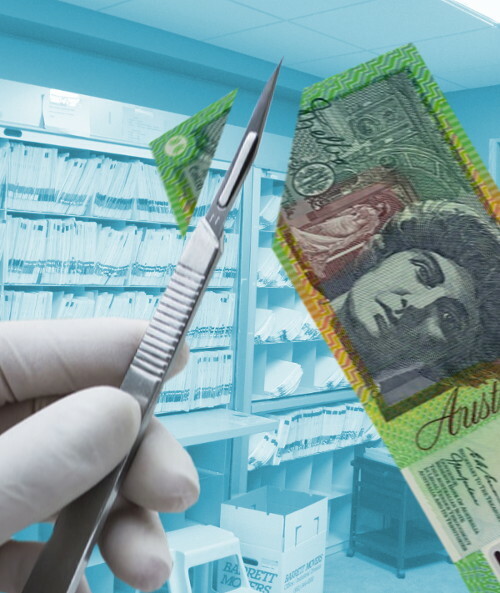 The crackdown would affect about 8 per cent of taxpayers and about 200,000 self-managed super funds, but should save $11.4 billion over the forward estimates. Mr Wilson launched a taxpayer-funded inquiry into the policy which was criticised for its apparent partisan purpose. This criticism was amplified by new evidence that the Liberal MP had spoken to fund manager Geoff Wilson from Wilson Asset Management to coordinate tactics including protests to coincide with hearings. Geoff Wilson is Tim Wilson’s great uncle, and the Liberal MP is a shareholder in Wilson Asset Management through Wilson-Bolger Superannuation Pty Ltd.
Tim Wilson also created a campaign website that allowed people to register to attend public hearings. But the website does not only take names for attending the hearings, it also signed their names to a petition against “the retirement tax” and put them on a mailing list for “future activities to stop the retirement tax”. Several media outlets are reporting the details of an audio recording from September 2018 in which Geoff Wilson allegedly claims coordination between the chairman of the taxpayer-funded inquiry and the fund manager’s biannual road shows. “This year – I was actually talking to the chairman of the Senate committee for this hearing into franking and I was saying it’d be nice if we could have, if one of the hearings could be on a day that we’re doing our roadshow then we could do a little protest, we could have our placards and we could all walk down,” Mr Wilson allegedly said in the call to investors. Labor has declared Tim Wilson’s position as chair of the parliamentary committee to be untenable and called for him to be removed. Prime Minister Scott Morrison accused Labor of throwing “mud” at Mr Wilson for “giving retirees a voice”. On Thursday it emerged that Liberal candidate Robert Gunning has helped set up a “grassroots” campaign against Labor’s franking policy – the Defenders of Self Funded Retirees.